“There is nothing called junk food. The problem with obesity lies with children who do not exercise enough. What is needed is for them to run and jump, and to do this they need to consume high-calorie food. So, food high in salt, sugar and fat is good for them.” This is what was argued vehemently and rudely by representatives of the food industry in the committee, set up under directions from the Delhi High Court to frame guidelines for junk food in the country. On the face of it there was no one from the junk food industry in the committee. In the early meetings, we only knew that there were members of two associations who were representing the food industry in the committee. But as discussions got under way, it became clear that the big junk food industry was present in the meeting. We learnt that the member representing the National Restaurant Association of India was a top official from Coca-Cola—the world’s most powerful beverage company that is at the centre of the junk food debate globally. The other grouping, All India Food Processors Association, was represented by Swiss food giant Nestle, which has commercial interest in instant noodles and other junk food. The other members of the committee were eminent paediatricians, nutritionists and public health specialists. The committee had been set up because of a case filed in 2010 by Delhi-based NGO Uday Foundation, which asked for a ban on junk food in schools and in their vicinity. In September 2013, the High Court ordered the government to set up a committee to frame guidelines for food as the “ill effects of eating junk food have been documented by public health experts and also paediatricians”. The first move by the junk food industry was to block the setting up of the committee itself. But the court rejected this. The industry then changed tactics to argue that the problem was not junk food but lack of physical activity. For the rest of us in the committee the issues were: what makes food junk; why is it bad for our health; and what is being done to regulate junk food in other parts of the world? A working group was set up to frame the guidelines to present to the expert committee, which in turn would then report to the court. The Hyderabad-based National Institute of Nutrition has defined junk food as food that contains little or no protein, vitamin or minerals but is rich in salt, fat and energy. There is also robust evidence of the linkage between consumption of this food and non-communicable diseases like diabetes, hypertension and heart diseases. Childhood obesity has become the most serious health concern; even in our part of the world were malnutrition is a big concern. Study after study points to high-calorie intake because of unrestricted access to energy-dense fast food in school canteens and neighbourhoods. While exercise is vital, it is not a substitute for a balanced diet. World over governments are acting to tax junk food, ban it in schools and restrict its advertisement. All this is adding up to high-profile campaigns, where celebrities shun endorsement of this food and push for healthier options. In the US, first lady Michelle Obama has taken on the mantle to campaign against junk food. The question before the working group was not whether action was needed, but how to address these concerns. The first step was to build the criteria to define and identify junk food—how much of sugar or fat or salt in food is unhealthy. Based on this, a list was prepared of the most common junk food that would need to be regulated. It included chips and other fried packaged food; carbonated beverages; instant noodles; and confectionery. The working group was unanimous in its position: children are not the best judge of their food and are aggressively targeted by ads and seduced by celebrities. Moreover, schools are the right place to learn right values about nutrition. We, therefore, recommended a ban on junk food in and around schools, and also a canteen policy that foods categorised as green (healthy) would constitute over 80 per cent of the choices available. We said that non-standardised junk food, like samosa, would be available sparingly in the canteens. There would be efforts to “green” this food through better ingredients and cooking mediums. This food was categorised as orange. Red category food—common junk food—would not be available at all. But all this would not work unless people are informed about what they are eating. To do this, labelling on food should specify how much fat, sugar or salt it contained in relation to their daily diet. The working group also recommended strongly against celebrity endorsement. But this was clearly unacceptable to big business. They struck back. By now they could not argue that nothing should be done. The health evidence was overwhelming. Their position was that instead of banning such food, children should be asked to “eat responsibly”. But they could not explain what eating responsibly meant. The final report of the committee has two positions: the industry says the availability of junk food should be restricted or limited in and around schools; the rest say junk food should be banned. Now the report is with the High Court for it to take a decision. Wait and watch this space for more. This is business not to be left to business to decide. 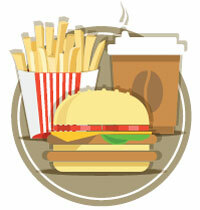 Junk food industries have huge financial interest in promoting their products. Probably they spend more money for advertising than on the product itself. A stringent action is essential to curb the production of junk food and its sales. The sordid drama being played out by the food industry has three international parallels. First is the aggressiveness of WEF to push Ã”Ã‡Ã¿responsibleÃ”Ã‡Ã– investment in agriculture ostensibly to grab land. The key operating word is Ã”Ã‡Ã¿responsiblyÃ”Ã‡Ã–. The second is the belligerent and persistence of the pink media to perform a slog over hard hits for the junk food business segment with dubious and esoteric camouflaged templates like Ã”Ã‡Ã¿protein inflationÃ”Ã‡Ã– value-added potential, etc. Thirdly, vociferously raising and finally succeeding in getting a major chunk from the tax subsidy window for the manufacture of junk food under the specious argument of job creation and better return to the farmers. It is therefore not surprising that despite global slowdown in the economies, food processing industries is the only segment that defied this global trend. Look at their balance sheets if doubts persist. Let us hope the court will take this later point about return on capital invested into consideration as well that finally result into health and environmental disabilities in the society. First define junk food in such a manner that the addition or subtraction of small additives does not change its character. 2) tax all such foods vigorously, as eventually the cost ends up on the government. 3) no junk foods to be sold within 100m of educational institutes as is done with bars in Goa. 4) Educate the parents through advertisements on TV and Radio, money used from the taxes. Surely, Junk Food is a slow & sweet poison, fastest growing business run by money-mad (Ullu) people. We & our children are not enough conscious on this front, need awareness as well as alternative too. This dirty gaming by junk food industry has originated in west killing people. Worst effects of rampant capitalism where public are harmed at the cost of top rich people so that they fill their pockets with more money!